Mercedes E-Class E220d 4Matic SE Premium Plus 5dr 9G-Tronic 2019 Review | What Car? What Car? will save you at least £4,627, but our approved dealers could save you even more. 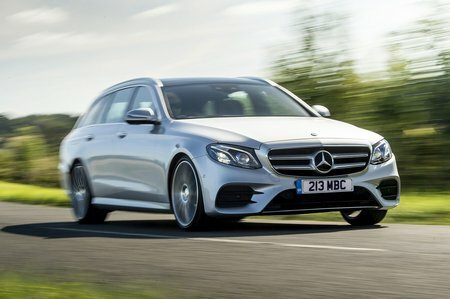 It might not be cheap, but the Mercedes E-Class Estate is extremely classy, spacious and impressively refined. It's boot space is capacious, beating a BMW 5 Series Touring for capacity, although rear legroom suffers against rivals such as the Volvo V90. Its composure and typical high-end Mercedes finish complete these compelling package. This 192bhp 2.0-litre diesel engine emits from as little as 109g/km of CO2, making it a popular choice among company car drivers. It comes with a nine-speed automatic gearbox as standard and is a surprisingly strong performer. Sounds a little bit grumbly under acceleration compared to the competition, though.